By turns philosophical and darkly comic, an ex-smoker's meditation on the nature and consequences of his nearly lifelong addiction. People will connect his book with Aldous Huxley’s Doors of Perception, and I’m sure Hens had that volume in mind, but if Nicotine has a literary progenitor I would say that it is In Search of Lost Time, in which Proust made the material of seven volumes bloom out of one French cookie dunked in a cup of tea. 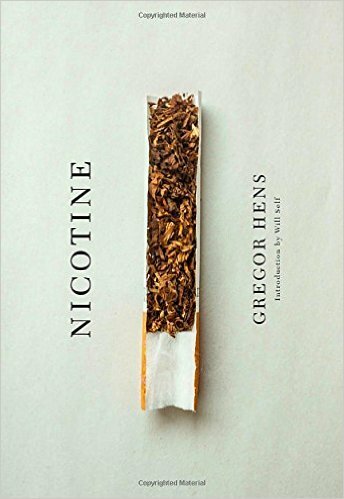 Nicotine is much shorter, only a hundred and fifty-seven pages, but Hens uses a similar alchemy to transform the things of his world—the family in which he grew up, in Cologne; his former home in Columbus, where he taught German literature at Ohio State; his apartment in Berlin, where he lives with his wife, and produces novels and translations—into whole relay stations of poetic force, humming and sparking and chugging ... From page to page, this beloved woman [Hens' mother] is glimpsed only partially. All around her there are silences, empty places, held breaths—an extraordinary act of literary finesse ... [a] dark, lovely, funny book. ...[a] captivating memoir ... this is a wonderfully meandering memoir, beautifully written, in which Mr. Hens recalls formative experiences through the experience of smoking—because cigarettes were always present—while also exploring the psychology of an addict. 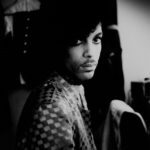 ...a slim but plaintive memoria to a lost love — a philosophical meditation on the nature of addiction, the listlessness, the frustration and the sense of grief one feels at the loss of a fix. Its structure is reminiscent of the memoryscapes of W.G. Sebald, including the strange, captionless photographs. This intelligent, literary volume plumbs Mark Twain, Italo Svevo and Van Morrison. But make no mistake: Nicotine isn’t a self-help book. It’s not an anti-smoking screed. Nor is it a love sonnet to tobacco. It’s an honest exposition of the emotional complexity of quitting.